News 12 in August, Ga., talked to National Association of Social Workers member Eve Pearson and other experts to ask how people should handle the aftermath of the Casey Anthony trial. A Florida court this week found Anthony not guilty of murdering her two-year-old daughter Caylee Anthony, although many suspect she was involved in the crime and are disgusted with the verdict. “That leaves us confused and frustrated. Many wonder – then who did do it? And it leaves us a gash in our hearts for this little child,” said Pearson, MSW, LCSW, C-ASWCM. Pearson said people upset over the verdict should channel their energy in a positive way, including advocating to prevent child and elder abuse. To read the full article click here. To read more about how social workers help people deal with tragedy visit NASW’s “Help Starts Here” Grief and Loss Web page by clicking here. 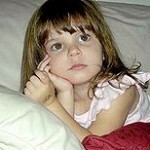 I believe Casey Anthony did kill her daughter. While reading articles this AM from the jurors, it appears they too do not believe Casey is “innocent” but could not produce a guilty verdict based on the evidence presented to them. Remember, a lot of facts that were argued, that WE had access to, the jury was out of the room. In one article from msnbc.com, juror #3 stated they didn’t believe the prosecution presented an air tight case that would warrant a guilty verdict and possible death penalty for Casey Anthony. 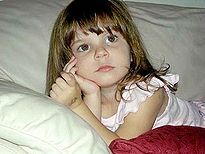 They said there was no clear cause of death or motive so they could not say for certain that Casey Anthony was responsible. Casey Anthony is a liar, for sure, but the prosecution did not make a good enough case to erase “reasonal doubt.” The jury did what they were supposed to do; they took emotion out of it, they looked at the facts in front of them, and they made a decision. There was just not enough evidence to convict. That doesn’t mean “innocent” it means there are still too many questions. It was a sad case. I feel for those hurt by this. All we can do is pray for that little girl and continue to do our work as helpers and know we make a difference everyday in advocating for those who cannot help themselves and preventing and reporting child and elder abuse. Judge and be judged. It is worthy to be remembered that Casey Anthony was found not guilty by a jury of her peers. We only know the name Casey or Caylee Anthony because on the surface they seem to come from a normal & especially ‘attractive’ White family ‘just like ours’. Meanwhile there’s a child w/darker skin suffering or has died in worse conditions that isn’t getting ANY press time! If little Caylee was little Jada (equally sweet and worthy) from the housing projects, well I think we all know how that story ends… I think Cayee should get justice. I am not sure if justice was truly done or not, that I will leave to others to ponder. However, I am very sure that we need to redouble our efforts to keep situations like this from happening in the first place.